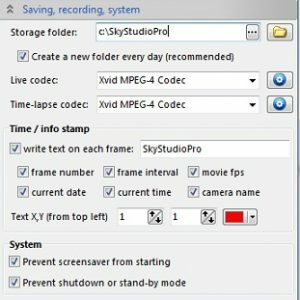 SkyStudioPro -is a freeware time-lapse and motion detection application for the Windows&reg; platform. You can use it to capture time-lapse movies using almost any capture device or web cam. It also features motion detection, you can set it to record movie clips when motion is detected.